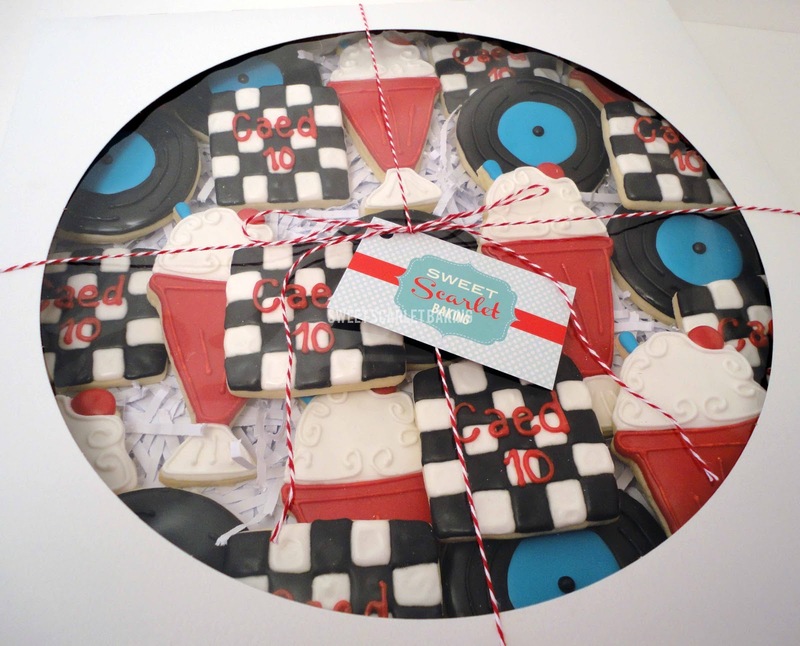 Sweet Scarlet Baking: Rock Around the Clock! 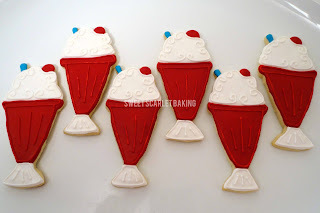 These 1950's cookies are so fun! 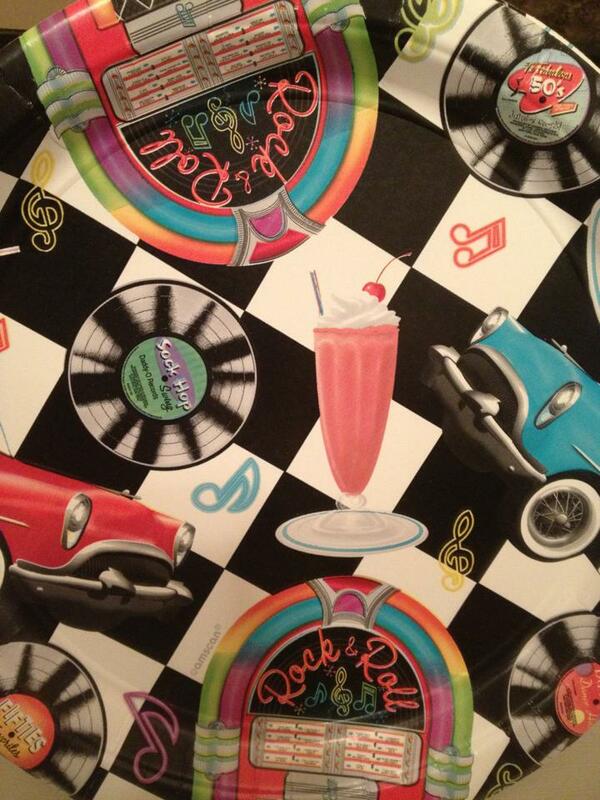 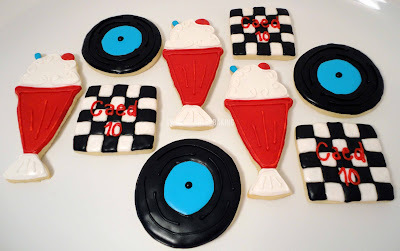 My customer was planning a 1950's party for her son's 10th birthday. She sent me this photo of one of the decorations that she was using and asked me if I could design some decorated sugar cookies for the party. I designed this ice cream soda cookie, which I cut by hand. 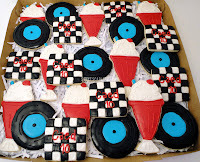 My customer loved this idea because the kids were having ice cream sodas at the party and taking home their glass as a favor. 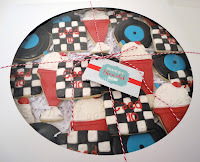 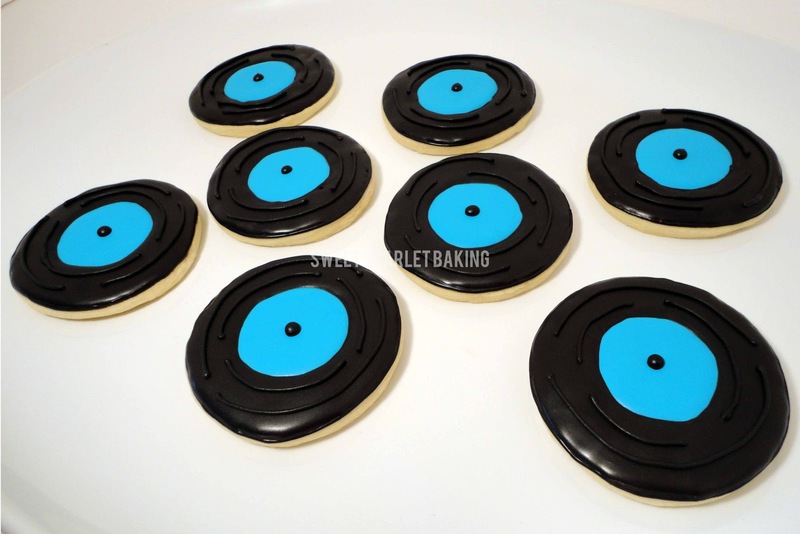 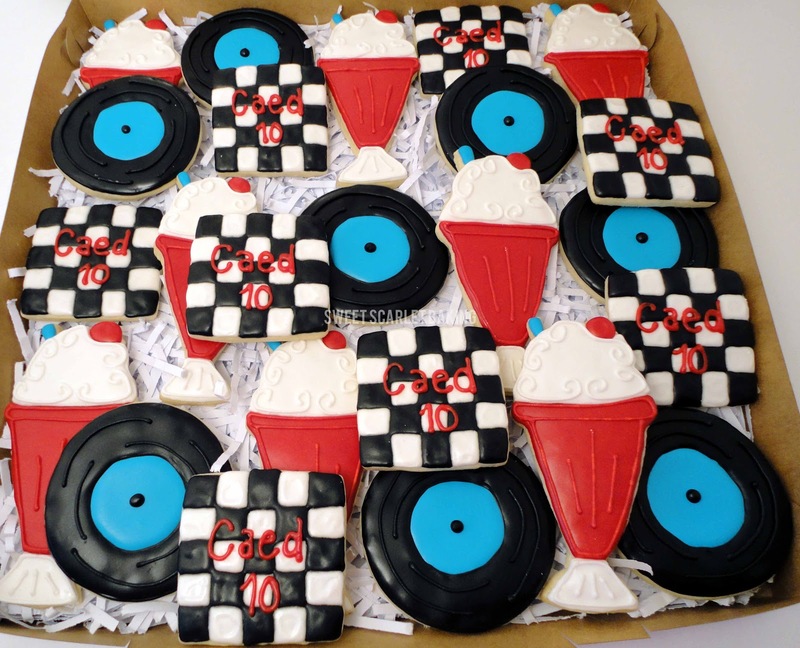 I used a simple circle cutter to create this record cookie. 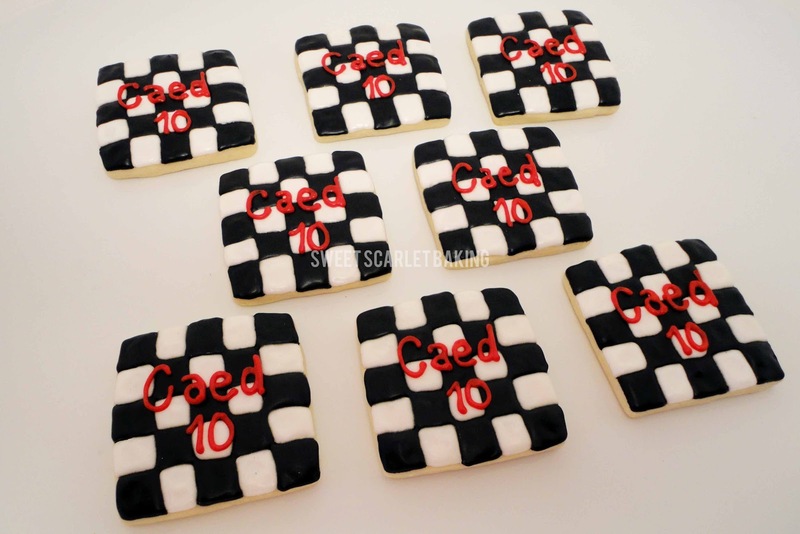 Then I created a personalized square cookie with a black and white checkerboard background to tie the whole 1950's birthday theme together.